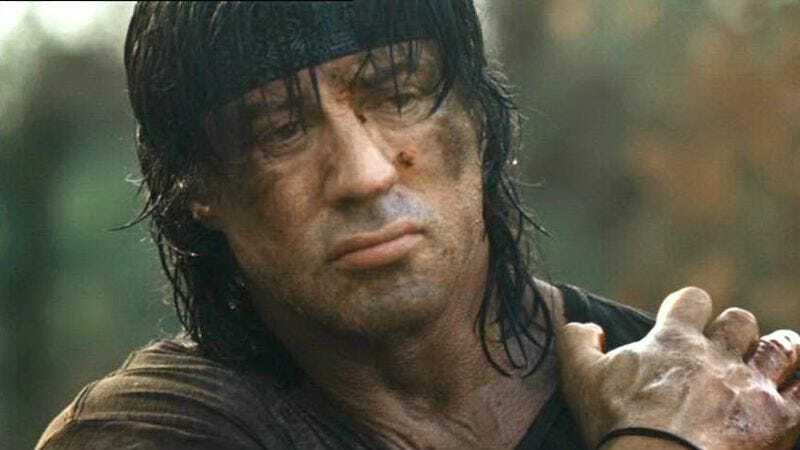 Although hopes were recently raised that he’d reprise the role of John Rambo, Sylvester Stallone is reportedly done playing rogue commando. That sad news comes courtesy of Deadline, which reports that the actor will not star in the Rambo series that’s currently in development at Fox. Stallone is limiting his role to that of executive producer, a position that probably still comes with a flamethrower or grenade launcher. Stallone’s spokesperson told Deadline that the actor has “opted not to participate in the planned Rambo television series in any way at all,” which sounds like he’s hoping Ryan Gosling really will step in at some point. The oft-rumored, ominously titled Last Blood film was swapped for the more optimistic-sounding Rambo: New Blood series, which will center on “the complex relationship between Rambo and his son, J.R., an ex-Navy SEAL.” As counterintuitive as it may seem to move forward with a series in which Stallone won’t drawl/mumble fatherly advice, that’s precisely what Fox is doing. There’s currently no word on which muscle-bound sexagenarians are being considered for the part, but perhaps Stallone could rope some of them into that The Expendables TV series that’s also in the works.